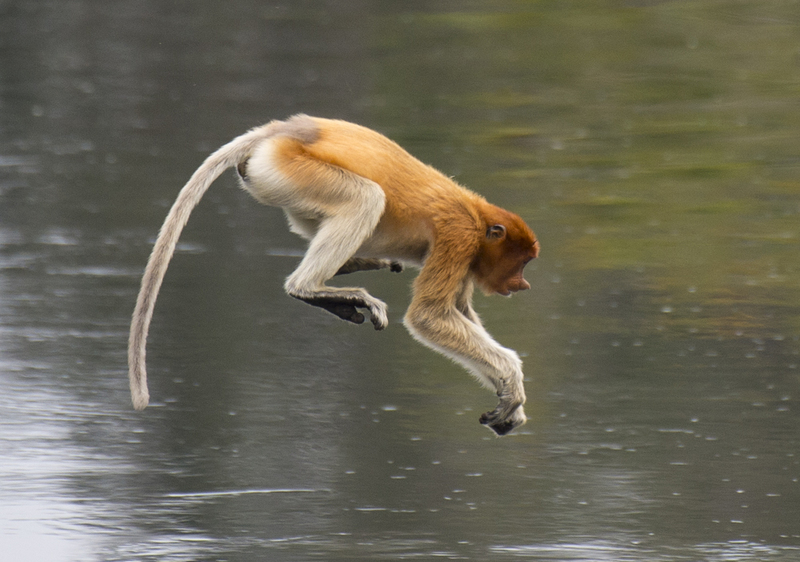 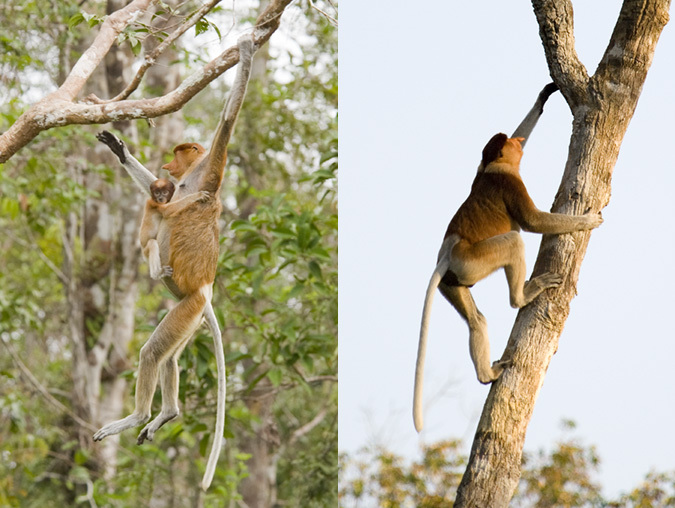 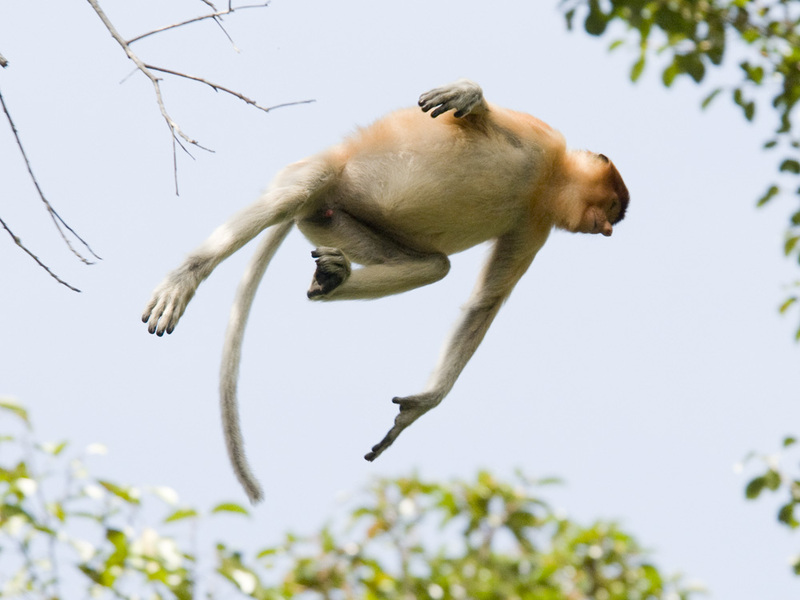 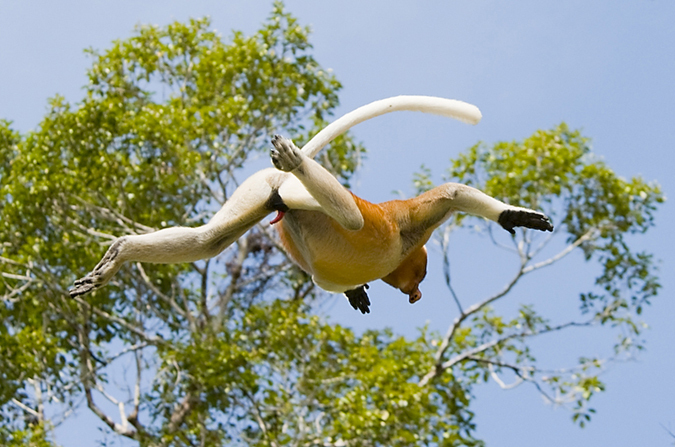 Proboscis monkeys are endemic to the low lying coastal swamps of Borneo. 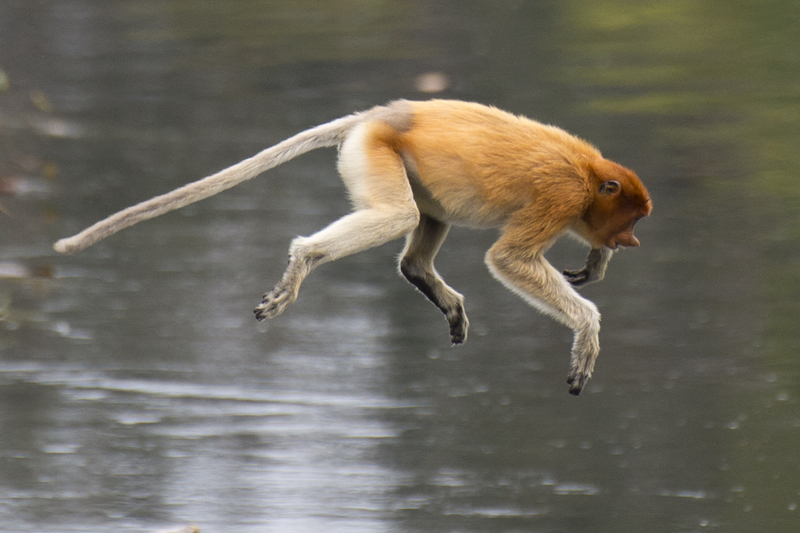 One of the most important population thrives in Tanjung Puting national park where you’ll see so many that it’s easy to forget quite how endangered these primates are. 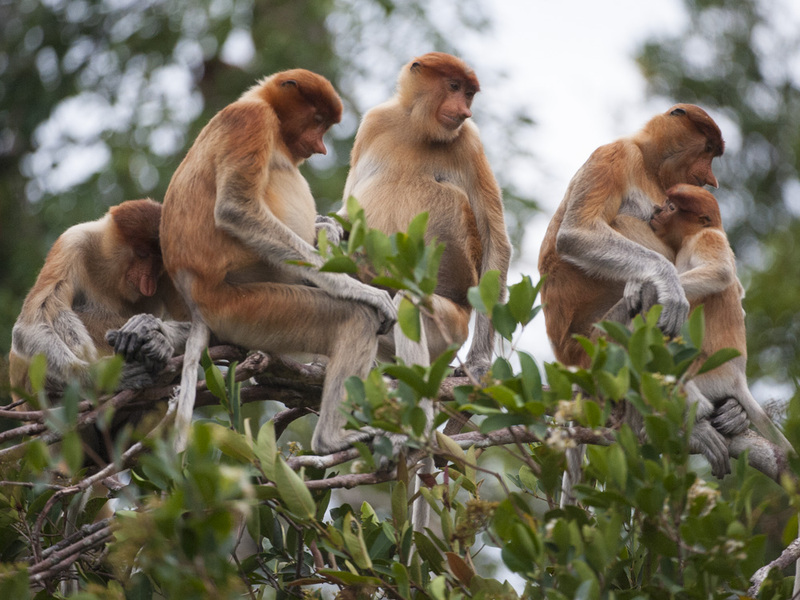 Every evening, small groups gather in the tree tops next to a river, so heading out by boat offers the best chance to get close. 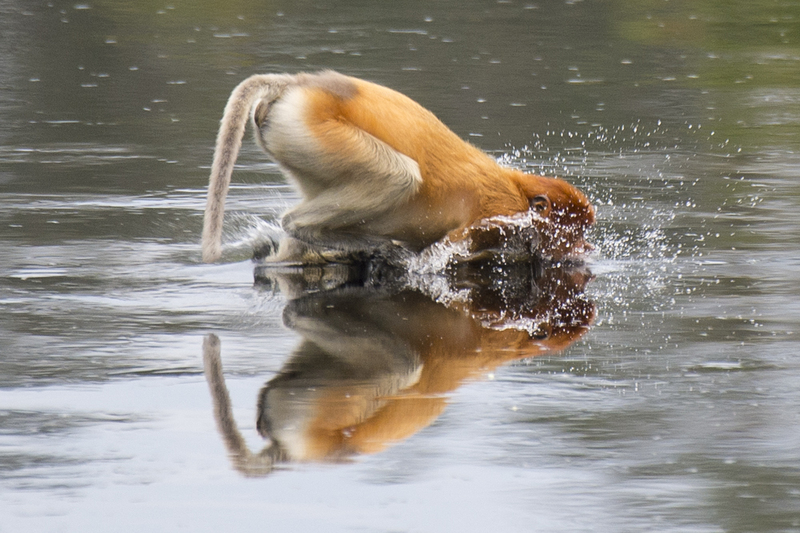 Although dusk is good, some of my favourite encounters have been in the very early morning, when the mist clings to the surface of the water. 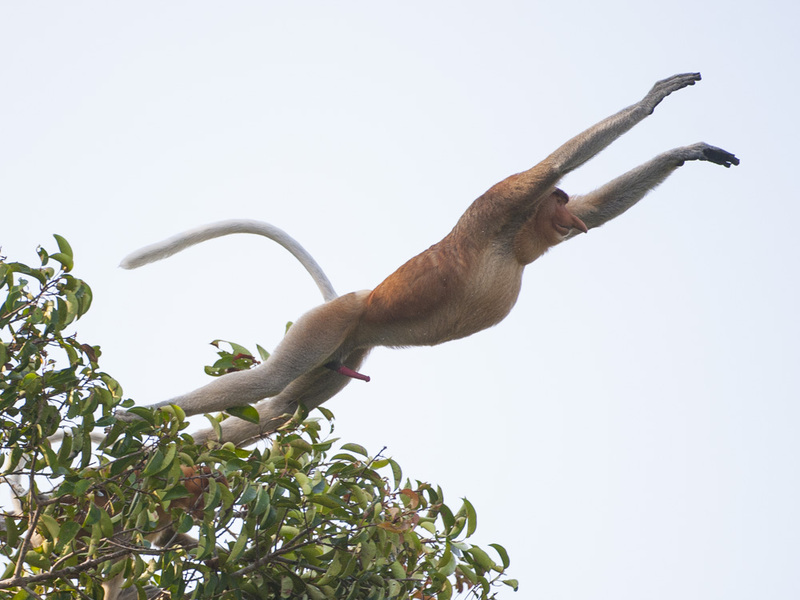 We have daily sightings on my Borneo orangutan wildlife holidays to Tanjung Puting which are a fundraising trip run in partnership with the Orangutan Foundation UK.